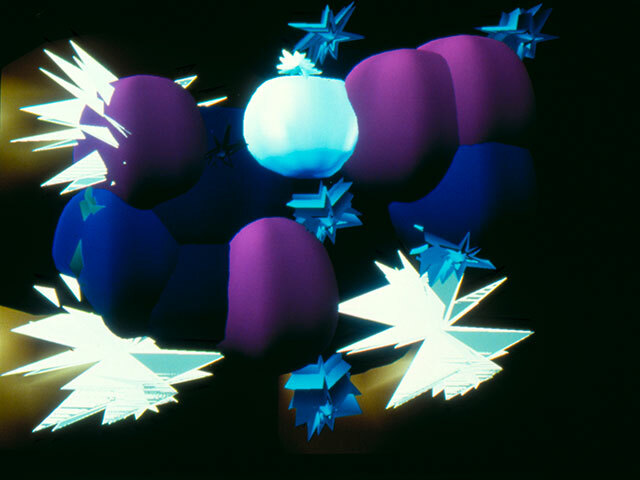 This work was part of my 1988 Perceptual correspondences of abstract animation and synthetic sound. The original version was projected on a large screen (4 x 3 m.), with speakers placed at each corner of the screen in order to provide spatialized sound along both horizontal and vertical axes. This was possible by synchronizing two stereo digital players with a videotape player.